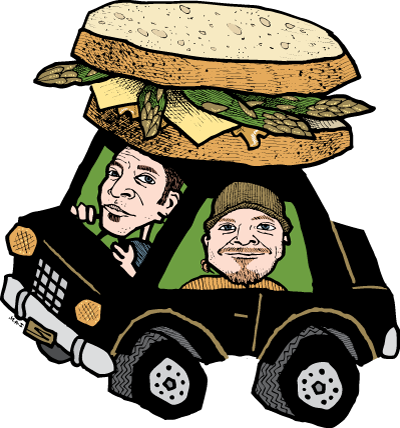 Zingerman’s Deli Comes Right to Your Door! Order a few hot sandwiches & sides, some hand-sliced meat & cheese, fine olive oils, tinned fish, bread & pastries—or anything else you might need. We will deliver it all locally in the Ann Arbor area! FREE DELIVERY CONTINUES! Sandwiches, Sweets, and Groceries! Q: Who’s making the deliveries? A: A company called EatStreet. They’re a Wisconsin-based company that operates in a bunch of college towns. They’re like a taxi for your food. Lots of other local restaurants use them, too. A: We take an order as usual and quote the time the delivery will leave the Deli. EatStreet notifies their nearest driver, who picks it up when we say and delivers it usually within 20 minutes after the order is ready. A: Delivery is $5. FREE DELIVERY CONTINUES! Q: What can be delivered? A: Pretty much anything we sell. Excludes Zingerman’s Catering and Events, however. Q: Will they deliver anywhere? A: The delivery area is basically anywhere in Ann Arbor between the highways I-94 and 23. They will deliver anytime between 10:30am–10:00pm.